The easiest tool to make your WordPress Website GPDR compliant. Is a user’s consent stored on a website? The consents that are given are not stored on your website, but in a cookie in the user’s device. 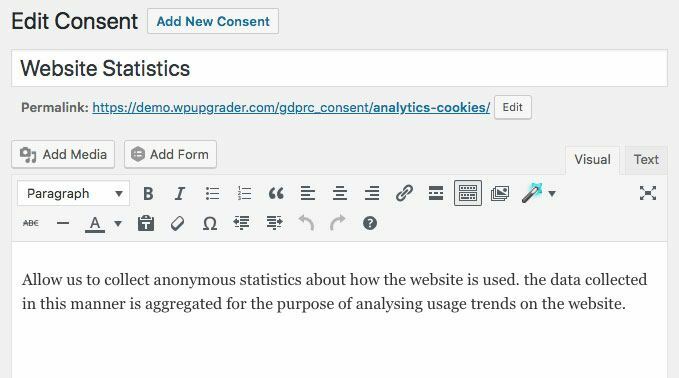 This way, a site doesn’t have to ask a user to store this data for them (which would require an additional consent that would allow the website to store the user’s consent). 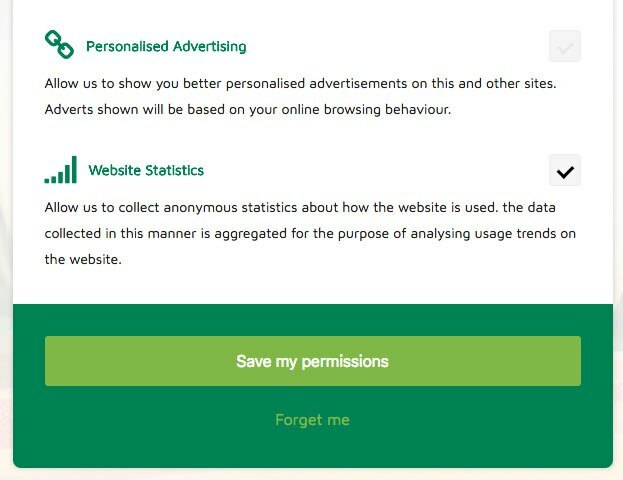 Visitors are able to see the consent they’ve given, by going to the privacy settings page of your site. How do I add new languages? If you would like to translate the backend, you can use Loco Translate. Do you want the frontend translated of your privacy setting page, you could use WordPress Multi language plugin (WPML), and the consents you add can be written in any language you like. How can I add/exclude custom scripts based on consents? 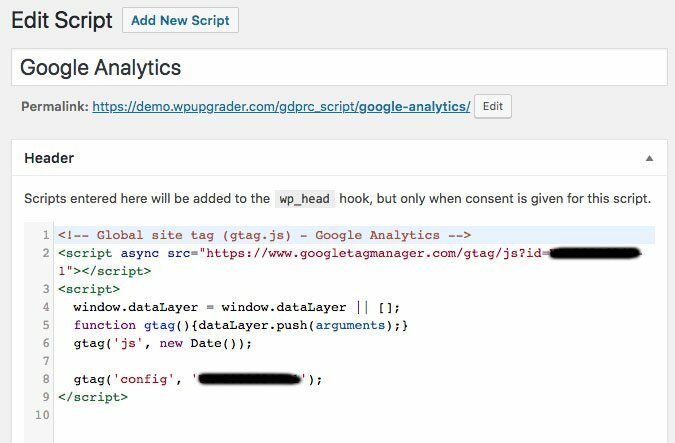 Custom scripts (like a Google Analytics tracking code) can be added to a Consent so the script will only be added to the head or footer of your HTML structure when consent is given. Name your script and copy/paste the custom script (i.e. a Google tracking code). You can choose to place it in the header or footer (most scripts are okay to run in the footer). Click Publish to save. How do I hide my consent without deleting it? You can change the display text on the gdpr consent settings page. How can I hide the plugin icons? It’s only possible to pay with credit card at the moment. There will be more payment methods available in the future. If you want to cancel your subscription, just log in to My Account, hit ‘Subscription’ and click ‘Cancel’. If you subscription is in the trial period, please cancel it in My Account and purchase the desired subscription. If your subscription is older than the trial period, please contact us at our support page.